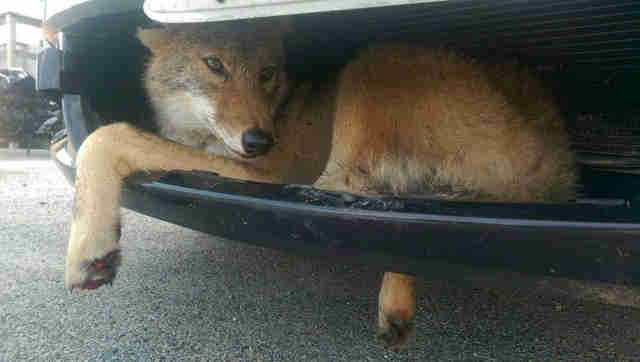 "Vern" the Illinois coyote had a close call when he ended up stuck in a car's grill last week. Kenosha resident Mark Armour felt a bump while driving his SUV to work, but didn't see anything that might have been the cause. 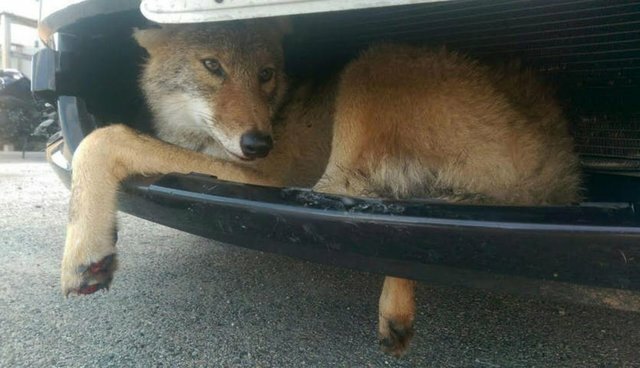 It wasn't until Armour, a train conductor, pulled into the train station parking lot that he realized just what had happened - there was a small coyote wedged in the grill of his truck. Vern was then taken to Flint Creek Wildlife Rehabilitation in Barrington, where he was admitted for three broken legs. According to Flint Creek's Facebook page, Vern is now resting and seems to be well on his way to recovery. The group gave Vern's well-wishers an update on the morning of September 25, stating that Vern "is much more alert today and even ate last night!" 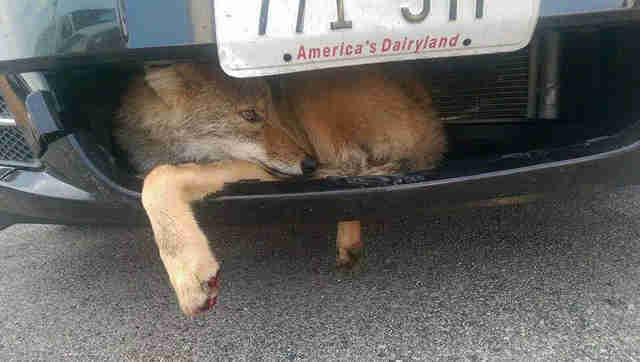 A similar occurrence between a car and coyote took place in 2009 near the Nevada-Utah border. 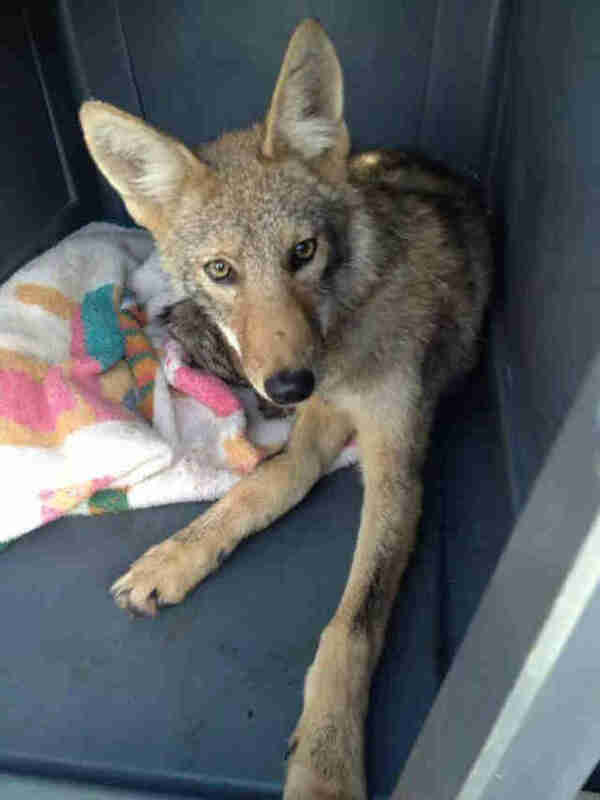 Two siblings hit a coyote while driving at 75 mph, only to discover that the coyote was alive and well inside their front fender some eight hours later. That lucky coyote earned the moniker "Tricky." According to Ohio State University's Urban Coyote Research, "The most frequent cause of death for urban coyotes has been collisions with vehicles (50 to 70% of deaths each year)." 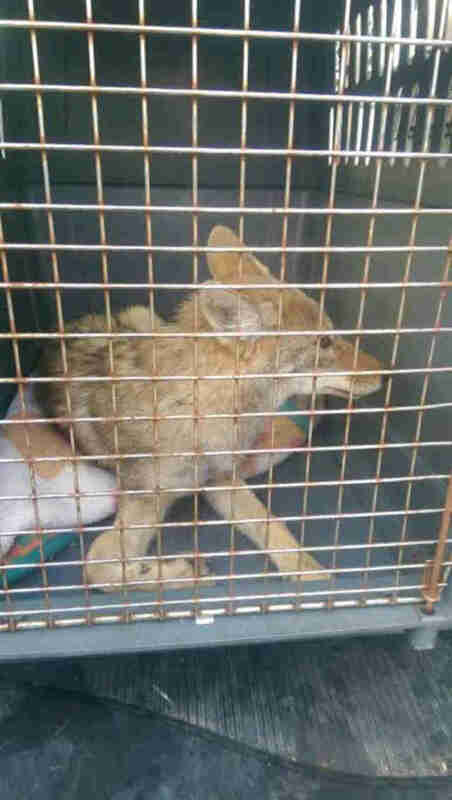 The research also goes on to say that "Rural Illinois is dominated by row-crop agriculture and hunting of coyotes occurs year-round without any regulatory constraints, such as bag limits." 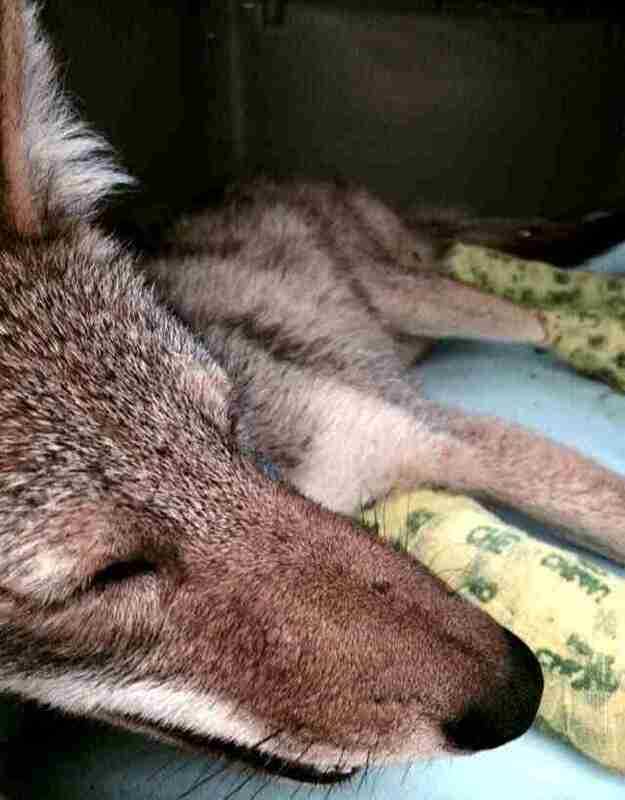 Vern is not the only coyote to be involved in an automobile accident, and likely won't be the last. The Humane Society recommends that drivers follow speed limits, don't throw trash out windows, and adhere to additional precautions in order to avoid hitting animals. And drivers should always keep their eyes on the road, because not all members of nature read stop signs. Donations to help Vern's recovery can be made here.